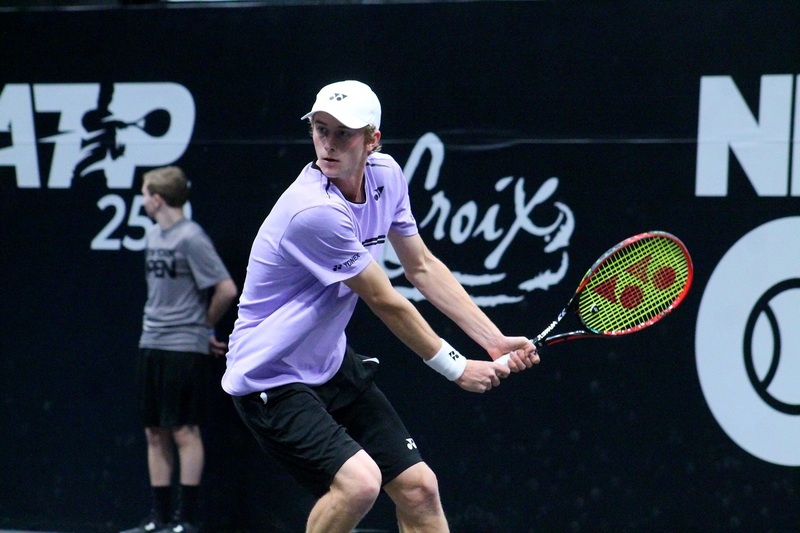 Northport native Cannon Kingsley raced out to a 4-1 lead in the opening round of New York Open qualifying on Sunday, but couldn’t hold onto his lead as Canadian Brayden Schnur moved within one victory of the tournament’s main draw with a 7-6(3), 6-3 victory. Competing in his first tournament on the ATP World Tour, Kingsley used up all of his allocated credentials to get friends and family inside NYCB LIVE, home of the Nassau Veterans Memorial Coliseum. In front of that crowd he secured a break early on to establish a lead in the opening set, but just a few games later, Schnur broke back and the set eventually went into a tiebreaker. Schnur began to take over in the breaker and won seven of the 10 points to win the first set. Schnur would notch the only break in the second set, and won 20 of the 25 points on his serve to close out the match in straight sets, and advance to the final stage of qualifying. Despite the defeat, Kingsley has a lot of positives to take away from Sunday’s effort. “It was awesome—it’s my first ATP tournament, so I didn’t have huge expectations, but I definitely thought I put my all out there. I wouldn’t want to play my first ATP match anywhere else but on Long Island. In the fall, the former Suffolk County high school singles champion heads to Ohio St. to embark on his collegiate career, but will continue to try and earn some ATP points along the away, starting with a tournament in Portugal in a couple of weeks.